Christmas is a wonderful time for us to show our thankfulness by giving to the ones we love. Here are 15 fantastic ideas for ways that your family can “pay it forward” this Christmas. Teaching kids about money doesn’t have to be a difficult task if you simply build the process into your normal day-to-day activities. You can start the process with children as young as two years old. Here is an age-by-age guide to teaching money milestones to kids. Kids sometimes have the funniest ideas regarding where money comes from. Here are several that will make you laugh. August is here and you know what that means. It’s time for parents to start seeking out savings on back to school clothing, supplies, etc. We’ve compiled ten back to school tips to help you save time and money, and ease your family’s back to school stress. Have you ever wondered how FICO credit scores are determined? Better yet, have you tried to explain the process to your children in an effort to prepare them for their own financial futures? It’s important for you (and your children) to understand FICO credit scores because insurance firms, landlords and even employers can use them as a way to determine your level of responsibility. Here’s an overview to help you make sense of FICO credit scores. According to a 2015 survey from T. Rowe Price, a more appropriate term for millennials might actually be “the Money-Conscious Generation.” Apparently, the 18- to 34-year-old set is better about tracking their spending and sticking to a budget than Baby Boomers. Here are 10 great financial blogs to help millennials increase their financial literacy, reduce their debt, and prepare for retirement. 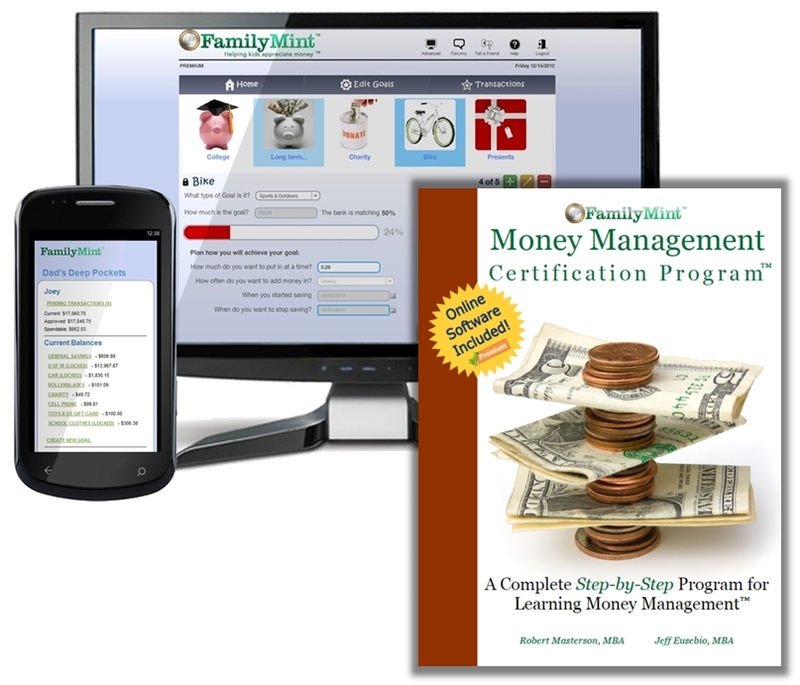 Looking for some easy ways to save (and earn) money while doing your everyday activities? Check out these six money saving (and earning) tips! In this age of immediacy many parents have fallen victim to adage of “more is better”. According to T. Rowe Price's 2016 Parents, Kids & Money Survey, 57% of parents say they spend too much on things their kids do not need. Here are five tips to help you combat the “more is better” mentality. Are you seeking ways to tame party expenses while also continuing to create unique ways to celebrate your children? Here are some creative alternatives to celebrating a child’s special day while also spending your dollars in a more meaningful way. Tax season is upon us and if your teen has worked during 2015, then he or she will need to file their W2's and declare any other earnings such as tips. Here are five simple tips for teens to remove some of the mystery. We’ve all heard the warnings about how potential employers can view the social media accounts of prospective employees to determine if they are hire-worthy but did you know that your social media habits might also affect your credit score? The over-commercialism of Christmas can leave parents exacerbated as they strive to keep the meaning of Christmas at the forefront for their families. I experienced that frustration when my three children were younger and came across a great gift-giving alternative in a magazine article. It was a wonderful concept for saving money in my Christmas giving while also teaching my children the importance of the meaning of the season—the birth of Jesus. Grandparents are well known for spoiling their grandchildren. Yet when it comes time for giving back to them at the holidays, it can be difficult to find gifts that are both affordable and meaningful. So, what do you get for the grandparents who may seem to have everything they need? Here are ten fun and creative holiday gift ideas for the grandparents in your life. According to the National Retail Federation holiday shoppers plan to spend an average $463 on family members, up from $458 last year and the highest in survey history. Your family doesn’t have to break the bank during this gift-giving season. Here are seven wonderful ideas for creative holiday giving on a tight budget. The holidays are right around the corner. Are you planning a large family gathering this year? You don’t have to spend a fortune to host a wonderful event. Here are ten helpful tips for creating a memorable yet affordable holiday gathering for your family and friends. The most important thing BPA has given to Delaney is a new mindset—one where anything is possible. She’s learned new skills and strategies that she can use in school, while traveling, and for the future. YFL presented their biggest donation check yet to the Detroit Academy of Arts & Sciences after 400 students passed the FamilyMint/YFL youth financial literacy program. These students also appeared on the Ellen show. Check out this great video! High school seniors across the country are preparing for their fast-approaching graduations, and many are gearing up for college. Meanwhile, parents are contemplating the costs of funding that education. Here are some quick tips for reducing college debt.